Yantai, a coastal city in East China's Shandong province is speeding up the development of its manufacturing sector and is expected to become a hub for China's manufacturing territory, Xinhua reported on Nov 20. 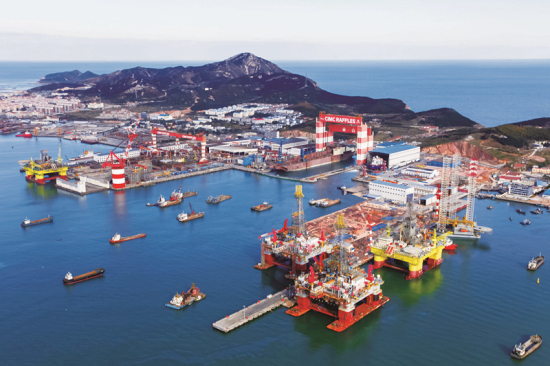 Since reform and opening-up was launched, Yantai's industrial output value increased from 2.75 billion yuan ($398 million) in 1978 to over one trillion yuan in 2010. In 2017, its major industrial income reached 1.4 trillion yuan, ranking first place in Shandong province, among which the manufacturing sector accounted for more than 90 percent of the total. Yantai’s wine industry has become one of the most important industries in the city. It is the birthplace of China's first estate Changyu Pioneer Wine Co, which was founded by diplomat Zhang Bishi in 1892. 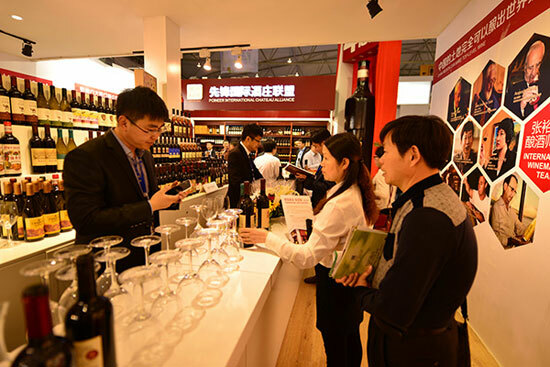 Changyu Group ranks fourth among the world's top 10 wine brands, with its sales network covering more than 40 countries and regions. Yantai is also home to some of China's most renowned brands such as Tricyclic Lock, Longda Food and Polaris Clock which help it win city cards of "international wine city," "China food city" and "China horologe city". Among the first batch of 14 cities to open to the world in 1984, Yantai city has lured some Fortune 500 companies over the years. Shanghai GM Dongyue Automobile Company settled in Yantai in 2003. Its Buick SUV Envision was a huge success in the United States. The city has made great efforts to develop marine equipment manufacturing. Blue Whale 1, the ultra-deep-water semisubmersible drilling rig built by China Yantai CIMC Raffles Offshore, the nation's largest semisubmersible platform manufacturer, conducted successful tests in the South China Sea in May 2017. The government will also build certain new industries into major drivers of economic growth, namely information technology, food processing, non-ferrous metals and precious metals, high-end chemical materials, equipment manufacturing, automobiles, and medical and health care. By 2020, Yantai aims to be a city of advanced manufacturing clusters. By 2022, it is the city's goal that the added value of its strategic emerging industries will be up to 20 percent of its overall added value.